Brookhaven is a vibrant community with great walkability. You’ll find a wide array of home options in Brookhaven from cozy bungalows and Eco-friendly Craftsman style houses to new construction million dollar luxury homes and homes built in the 1920’s in Historic Brookhaven surrounding Capital City Country Club and golf course. There are also condos and townhomes in a variety of price ranges. Brookhaven is located inside 285, just north of Buckhead, in Atlanta’s North DeKalb County in zip code 30319. Historic Brookhaven is located in Fulton County in the Sarah Smith Elementary school district. See the sights and sounds of Brookhaven in this video. Ashford Park – Popular neighborhood with a charming mixture of ranches, bungalows and new construction homes with a park with playground. 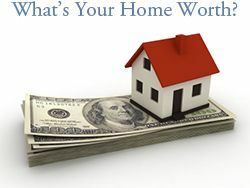 Home prices range from the $350,000 – 1.5 million+. See homes for sale in Ashford Park. Learn more about Ashford Park. 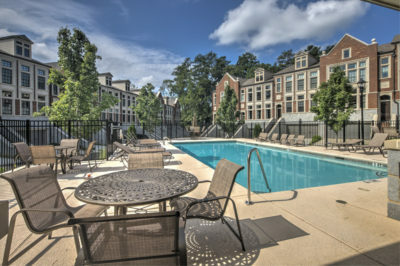 Arrington Place – Located in Brookhaven, Arrington Place features luxury townhomes built by Ashton Woods. Community features pool and private park. See homes for sale in Arrington Place. Bramley Park – Bramley Park features 23 luxury townhomes in the Heart of Brookhaven. Built by Harrison Development & Construction. Walking distance to MARTA, shops and restaurants on Dresden and Arnette’s Chop Shop on Apple Valley. See homes in Bramley Park. Learn more about Bramley Park. Brittany/Cambridge Park/Hampton Hall – Sought-after neighborhoods surrounding tranquil Silver Lake. Brittany Club is an outstanding facility with lighted tennis courts, playground, pool and beautiful clubhouse overlooking Silver Lake. See homes for sale in Brittany, Hampton Hall and Cambridge Park. Learn more about Brittany. The Bluffs of Nancy Creek – Just south of “Pill Hill”, convenient to Northside Hospital, St. Joseph’s Hospital and Children’s Heathcare of Atlanta at Scottish Rite, The Bluffs of Nancy Creek offers homes built by Williamscraft with high quality finishes on low maintenance lots, perfect for busy lifestyles. See homes for sale in The Bluffs of Nancy Creek. Learn more about The Bluffs of Nancy Creek. Brookhaven Fields – Wonderful neighborhood with mixture of bungalows and newer construction. Active neighborhood association organizes many activities. See homes for sale in Brookhaven Fields. Brookhaven Garden – Friendly neighborhood, adjacent to Brookhaven Fields, with community pond and fountain. See homes for sale in Brookhaven Garden. Brookhaven Heights – Walk to Starbucks, Elwood Pizza and Kroger. Brookhaven Heights is a ideally located and offers a variety of home styles from new construction to historic bungalows. See homes for sale in Brookhaven Heights. Learn more about Brookhaven Heights. Brookhaven Lakes – Prestigious gated luxury home community featuring homes built by John Willis, Tommy Webb and other custom home builders…and yes, there is a lake! See homes for sale in Brookhaven Lakes. Brookhaven Renaissance – Gated subdivision, built by John Willis, with handsome homes with brick, cedar shake and stone exteriors. See homes for sale in Brookhaven Renaissance. Brookhaven Township – Walk to Haven, Valenza, Verde and the shops of Village Place. See all townhomes for sale in Brookhaven Township. Brookhaven Chase – Three and four story brick townhomes close to YMCA and Terrior Grill. See all townhomes for sale in Brookhaven Chase. Byrnwyck – Swim/tennis neighborhood with larger lots, close to Northside Hospital, St. Joseph and Scottish Rite. See all homes for sale in Byrnwyck. Learn more about Byrnwyck. Drew Valley – You’ll find great values in Drew Valley. Close to Ashford Park, Village Park and Village Place. See homes for sale in Drew Valley. Learn more about Drew Valley. Historic Brookhaven – Prestigious area surrounding Capital City Club and golf course in Sarah Smith Elementary school district. See all homes for sale in Historic Brookhaven. Learn more about Historic Brookhaven. 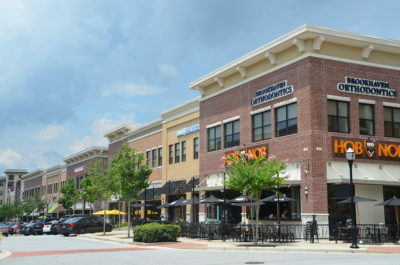 Keswick Village – technically in the city of Chamblee, but close enough to mention! Cute bungalows in friendly neighborhood with large park. Fantastic 4th of July celebration! See homes for sale in Keswick Village. Mabry Oaks – 14 home community with luxury homes built by Rockhaven Homes. Located in Historic Brookhaven, off Mabry Road. See homes for sale in Mabry Oaks. 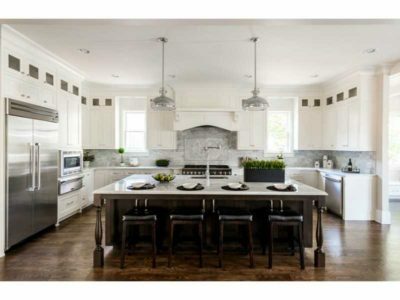 One Brookhaven – One Brookhaven in Historic Brookhaven offers taste, style, and elegance for the discerning buyer. Attention has been paid to every facet of the design of these exquisite one-level condominum residences. See all homes for sale in One Brookhaven. The Park at Oglethorpe – Located off Windsor Park, The Park at Oglethorpe offers beautiful luxury homes with the finest details. Close to St Martin’s Episcopal School, Our Lady of Assumption, Marist and Oglethorpe University. See all homes for sale in Park at Oglethorpe. Learn more about The Park at Oglethorpe. Parkhaven – Located in Brookhaven, directly across from Blackburn Park, this enclave of 46 townhomes has outstanding walkability to shops, restaurants and grocery stores. Built by Ashton Woods. See homes for sale in Parkhaven. Savoy at Town Brookhaven – Fantastic townhomes built by Ashton Woods. Savoy at Town Brookhaven is located beside Town Brookhaven and features 55 townhomes with luxurious modern interiors with high ceilings and top-of-the line appliances. 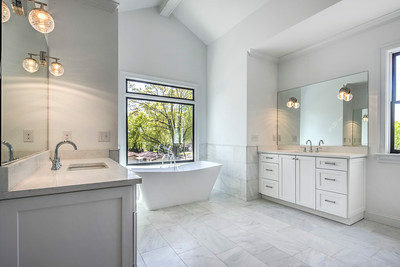 There are also traditional/transitional interiors available. Homes are priced from the high 400’s-mid $600’s. See all home for sale in Savoy at Town Brookhaven. Learn more about Savoy at Town Brookhaven. Tallulah Manor – Twelve home community built in 2013 by Rockhaven Homes and Monte Hewett. Located off Osborne Road, walking distance to Town Brookhaven and Oglethorpe University. See homes for sale in Tallulah Manor. The Reserve at Brookleigh – Built by Ashton Woods Homes, The Reserve at Brookleigh features single family homes and townhomes in the City of Brookhaven, close to Blackburn Park. See homes for sale in The Reserve at Brookleigh. Views at Lenox Crossing – Gated townhomes community with pool and dog walk. Townhomes for sale in Views at Lenox Crossing. Village Park – Home to Haven and Valenza Restaurants, Village Park has condos, brownstones, townhomes and Citihomes. See single family homes for sale in Village Park. See townhomes and condominiums for sale in Village Park. Village Place Brookhaven’s live/work community, Village Place. Walk to Haven, Valenza, Verde and more! See homes for sale in Village Place. 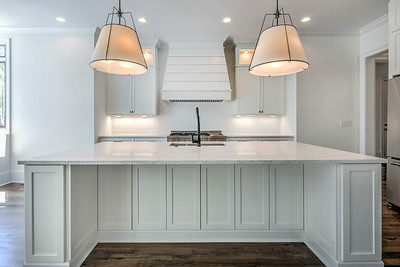 View Brookhaven Market Reports below by price range. The report includes data gathered from First Multiple Listing Service (FMLS) for the last 6 months showing median price, percentage of list-to-sales price, days on market, inventory report and homes that have sold in the last 30 days. 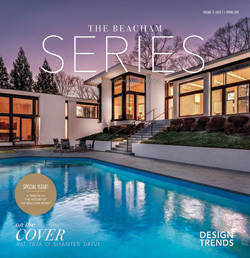 This report is provided as a snapshot of the Brookhaven real estate market. Contact our team for more specific information. Brookhaven has enjoyed tremendous growth. Our community is alive with new development! Brookhaven enjoys close proximity to Buckhead’s mecca of shops and restaurants, located less than two miles north of Lenox Square Mall and Phipps Plaza. We also have great local spots too! In Village Park, building on their successful Haven Restaurant, owners Michel and Tonya Arnette, have Valenza, a fabulous upscale Italian treat, Vero Pizzeria serving authentic Italian pizza and around the corner on Apple Vally, their latest restaurant, Arnette’s Chop Shop! Across the street from Village Park, Village Place Brookhaven has a home design boutique which is filled with treasures, Marguerite’s on Dresden. There is also a wine market and tasting bar called POUR and The Beer Growler for a wide variety of craft beer. 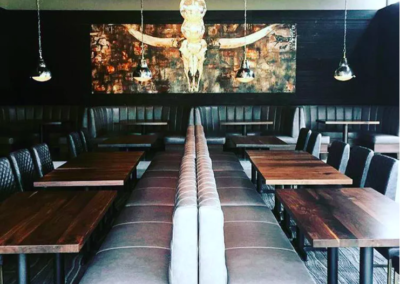 Verde Taqueria and Kaleidoscope Bistro & Pub are a big hit for casual dining. J. Christophers is always a favorite for breakfast and brunch! Close by, Terra Terrior Grille & Wine Patio is another favorite with fresh fare and robust selection of beer and wine. Hudson Grille in Brookhaven Station is a lively sports bar and restaurant with a fun casual feel! Next door you’ll find Mellow Mushroom with great pizza and casual outdoor patio. Around the corner in Chamblee, visit Peachtree Station, home to Whole Foods, Taqueria del Sol, Zoёs Kitchen, Chipotle Mexican Grill, StarBucks and more. In Historic Chamblee, try BlueTop Restaurant, Hopstix, Southbound Restaurant + Moonbird Coffee, Vintage Pizza, Union Hill Kitchen and Rose of India for Indian cuisine – dine in, takeout or deliver. The Frosty Caboose offers tasty treats for kids and grownups! Just south of Oglethorpe University, check out Brookhaven’s newest development TOWN: Brookhaven. Town Brookhaven has tons of shops and restaurants, giving Brookhaven residents a wide variety choices for shopping and dining! With recently installed bike racks, neighbors can leave their cars at home as Brookhaven becomes a leader in walkable communities. Check out Newk’s Express Cafe which serves fresh tossed salads, oven baked sandwiches, California style pizzas and homemade cakes. They also have a great selection of wines by the glass. Which Wich has an endless supply of creative sandwiches, all made to order with the freshest ingredients and my new favorite, Hobnob Neighborhood Tavern, which has delicious food and lots of gluten-free options. Craving Asian food? Check out BUA Thai + Sushi. If it’s Italian you want, visit PizzaFire restaurant. There are two places to satisfy your sweet tooth, Yogurt Land or Marble Slab Creamery. Craving breakfast? The Flying Biscuit serves breakfast all day long! CineBistro is the place to be for movie lovers. Two things to note, you must be 21 for admittance at this location for evening shows and to dine, you should arrive 30 minutes before show time. Don’t forget to visit one of the first restaurants to open in Town Brookhaven, Moe’s Southwest Grill for tex-mex fare. If shopping is your on your mind, visit Redefined Home Boutique, Sugarboo & Company and Boogaloos. For the budget minded, Marshall’s and Costco are also located in Town Brookhaven, along with Publix, which features a large selection of organic food and curbside pickup. And to burn off the calories, visit LA Fitness with pool, sauna, racquet ball court, basketball court, group classes and personal trainers. Brookhaven has a wide assortment of health and fitness classes from yoga and Pilates to high-intensity weight training. Here are a few of our favorites. YogaWorks– Love this place!!! 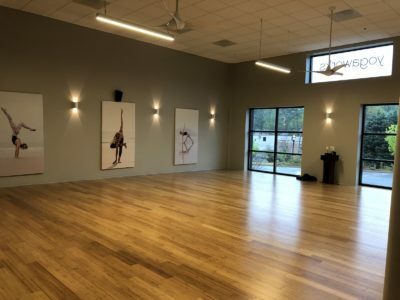 Bright, light-filled studio at AVB Brookhaven. Yoga Classes available from beginner to expert. 2700 Apple Valley Rd NE. 678-362-7720. Connect with YogaWorks on FaceBook. Cowart Family Ashford Dunwoody YMCA – The Cowart Family YMCA offers a wide variety of classes and programs for adults and children including swimming, golf, gymnastics, fitness classes and much more. They also offers youth sports programs including soccer, racquetball, martial arts and track. Cowart Family Ashford Dunwoody YMCA is located at 3692 Ashford Dunwoody Road, Atlanta, GA 30319, 770-451-9622. LA Fitness – LA Fitness has an indoor basketball court, racquetball courts, pool, spa, sauna, juice bar and a kids club. They offer personal training as well as classes in Kickboxing, Cardio, Pilates, Water Aerobics, Spinning, Zumba, Yoga and more. LA Fitness is located in Town Brookhaven at 755 Brookhaven Avenue, Atlanta, GA 30319,678-280-8844. Connect with LA Fitness Brookhaven on FaceBook. Thrive Fitness – Thrive Fitness offers personal training, Boot Camp and group classes in High Intensity Interval Training, Kickboxing, Spinning, Cardio, Cross Training and more. Thrive Fitness is located at 4276 A Peachtree Road, Atlanta, GA 30319, 404 431-2639. Connect with Thrive Fitness on FaceBook. Big Peach Running Co sponsors three runs each week. Choose from Tuesday at 6:00 p.m., Wednesday at 6:30 p.m. or Thursday at 6:00 p.m. or do all three! The group which calls itself the “Brookhaven Peaches” run through Historic Brookhaven passing the scenic Capital City Country Club golf course along the way. Courses range from an easy two mile run all the way up to thirteen miles. This is a free event and open to all running levels. Big Peach Running Co’s Brookhaven store is located at 3881 Peachtree Road, NE, Atlanta 30319. Connect with Big Peach Running Co on FaceBook. 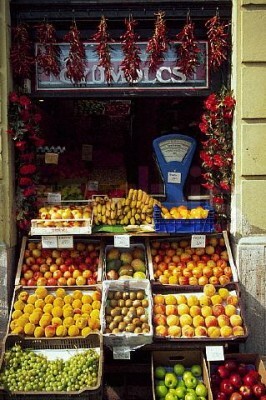 Eat fresh and support local farmers. Visit a Farmers Market near Brookhaven. The Brookhaven Farmers Market runs every Saturday from 9am – 1pm, late April through December. The Brookhaven Farmers Market takes place in the parking lot behind Haven and Valenza at 1441 Dresden Drive. The Peachtree Road Farmers’ Market is held at the Cathedral of St. Philip at 2744 Peachtree Road NW every Saturday 9:00 am- 12:30pm beginning in April and continuing through December. The Dunwoody Green Market is held in the parking lot at 1551 Dunwoody Village Parkway every Wednesday 8:00 a.m.- noon beginning in April and continuing through December. Recycle. DeKalb County offers a free voluntary recycling program. Click here for DeKalb County recycling brochure and application. There are also drop off bins for mixed paper at all DeKalb County Fire Stations and many DeKalb County Public Buildings. Drive less, take MARTA. There is a Brookhaven MARTA rail station along with bus routes that will take you to numerous locations throughout Atlanta and Atlanta suburbs. The Brookhaven rail station offers free same day parking and paid long term parking. Brookhaven Bolt – The Brookhaven Bolt is held in May. Proceeds from this family friendly 5k benefit Ashford Park Elementary. Brookhaven Arts Festival – Each October, Apple Valley Road, located behind the Brookhaven MARTA station, comes alive with art, crafts, music, food and fun! Sponsored by the Brookhaven Arts Alliance. Brookhaven Beer Fest – this event is held each Summer and has grown in popularity with live music and over 150 beers to sample. Brookhaven Chili Cookoff – held in October, the Chili Cookoff is a tasty treat! Brookhaven Tour of Homes & Gardens – Benefiting Atlanta Ronald McDonald House Charities and held each October. Marist Holiday Traditions – Sponsored by the Marist School Parents Club, this event held each October on the campus of Marist School and is one of the largest juried arts and crafts shows in the Southeast. Taste of Brookhaven – Local restaurants showcase their good eats on the Oglethorpe University campus. Sponsored by the Brookhaven Arts Alliance. Read more about Brookhaven on our blog! Murphy Candler Park, 1551 W Nancy Creek Dr. 135-acre DeKalb County Home of Murphey Candler Baseball, Murphey Candler Fast Pitch and Atlanta Colt football. There is also a playground, pool and lake. Brookhaven MARTA station, 4047 Peachtree Rd. The MARTA rail station located in the heart of Brookhaven. Brookhaven offers outstanding academic options for children of all ages. 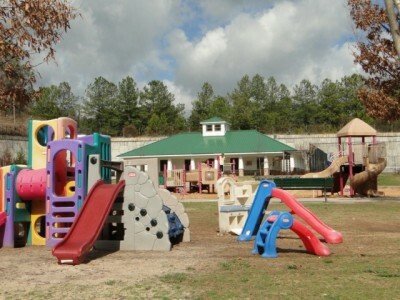 Ashford Park Elementary – 2968 Cravenridge Drive, NE, Atlanta, GA 30319. (678) 676-6702 The public school is nestled in the heart of Brookhaven. Enrollment is 380 students in grades Pre-K through 5th. Montomery Elementary – 3995 Ashford Dunwoody Rd, Atlanta, GA 30319. 678-676-7502. Enrollment is 560 students in grades Pre-K to 5th. Brookhaven Innovation Academy – BIA is a public charter school and opened in August 2016 with grades K-6 and is authorized as a K-8 school growing a grade per year with the goal of ultimately educating children grades K-12. Admission is by random lottery. The GLOBE Academy – The GLOBE Academy is a dual-language immersion charter school in the DeKalb County School District serving Kindergarten through 6th (adding one grade per year to become a K-8th school). Admission is by random lottery. 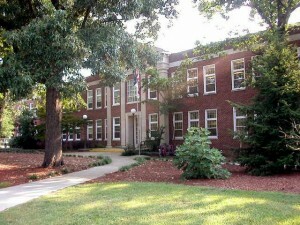 Chamblee High School – 3688 Chamblee Dunwoody Road, Chamblee, GA 303041. (678) 676-1200. A Charter School serving grades 9 – 12. Enrollment is approximately 1400 students. Our Lady of Assumption Catholic School – 1320 Hearst Drive NE Atlanta, GA 30319. 404-364-1902. 500 students from grades Pre-K through 8th. St. Martin’s Episcopal School – 3110-A Ashford Dunwoody Road, Atlanta, GA 30319. 404-237-4260. 550 students from grades Pre-K through 8th. St. Pius X High School– 2674 Johnson Road NE, Atlanta, GA 30345. 404-636-3023. Private Catholic college prep school for students in grades 9 – 12. Approximately 1050 students. Marist School – 3790 Ashford Dunwoody Road NE, Atlanta, GA 30319. 770-457-7201. Private Catholic college preparatory school for students in grades 7 – 12. Approximately 1000 students. Oglethorpe University – 4844 Peachtree Road NE, Atlanta, GA 30319. 404-261-1441. Oglethorpe is a private university with approximately 1100 students. It is known for it’s distinctive Gothic architecture style. The campus is listed in the national Register of Historic Places. In addition to the following list, you can find out more information about metro Atlanta schools at Great Schools. Selling your home in Brookhaven? Becky combines traditional real estate methods with state-of-the-art Internet marketing. Each home is unique. Becky will meet with you, listen to your goals and customize a marketing plan for you and your home. When you list your Brookhaven home with Becky, your home will be receive professional staging, top quality photography, virtual tour, a website/URL devoted exclusively to your home, custom designed color brochure, 24 hour information hot line, agent-to-agent marketing strategies, consistent feedback from agents and buyers who view your home, top negotiating skills and contract-to-closing expertise. Schedule your Free Home Marketing Analysis.